I hope you all had a great Christmas with your family and friends! I took a long break from blogging and social media in general, and went a whole 5 days without it! It felt great. And I survived! Now that the New Year is upon us, I find I have all kinds of new ideas swirling around in my head and I'm motivated to DO stuff...move furniture around, organize and de-clutter, and start some new, big projects. Do any of you feel that urge? It must be a female thing because I know Mr DIY sure doesn't feel it. Unfortunately, ha, he's my muscle and I will need his full cooperation to bring my 'crazy-scheme' ideas to fruition. And of course, being the ever-impatient gal that I am...I want it done, like, yesterday! So I'm trying to slow down, calm down and enjoy the process! Today we're going to take a little look back at my top 10 posts of the year...these aren't necessarily my favorite posts, but they were the top clicked and pinned posts from this year. Click on the titles to be taken to the individual posts where you can read all the details. 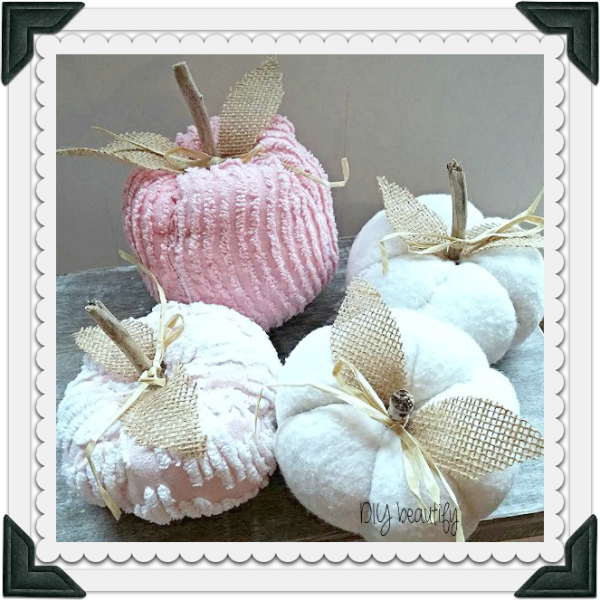 These are quirky little pumpkins crafted from vintage chenille and other soft fabrics, with burlap leaves and driftwood stems. So cute you just want to snuggle with them! Ah yes, my very first refinishing project. 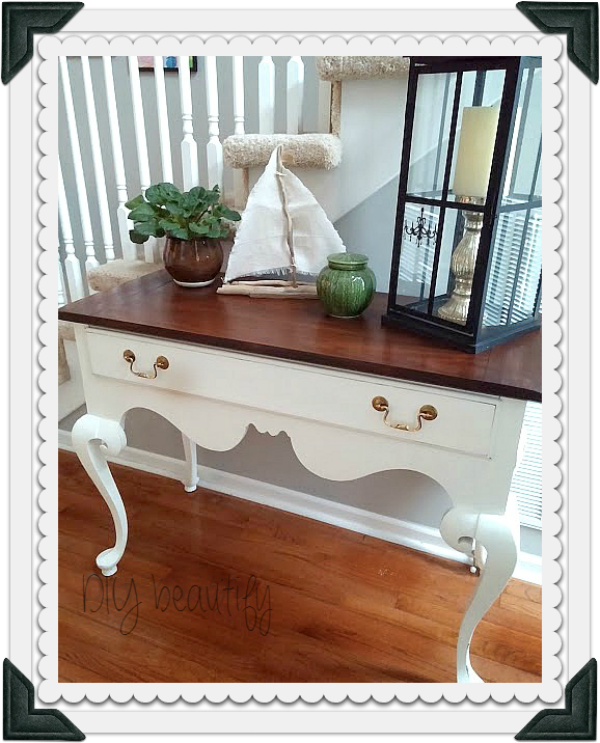 I kept it from being too difficult by painting the base of this great little dressing table (that became a front entry table) and only refinishing the top. This is the project where I fell in love with my palm sander....little workhorse! 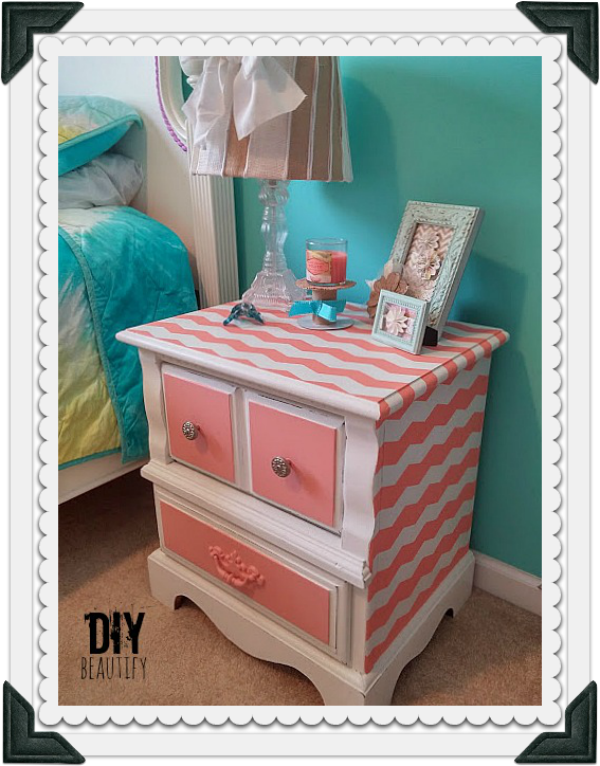 This coral chevron-striped nightstand was one of my most-pinned projects this year! 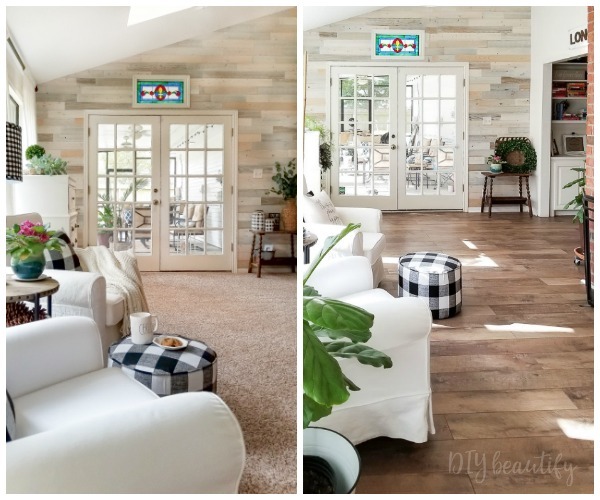 It was a fun DIY project, completed with my daughter's help....using the ever-popular chevron pattern! Oh, and did I mention it's adorable? 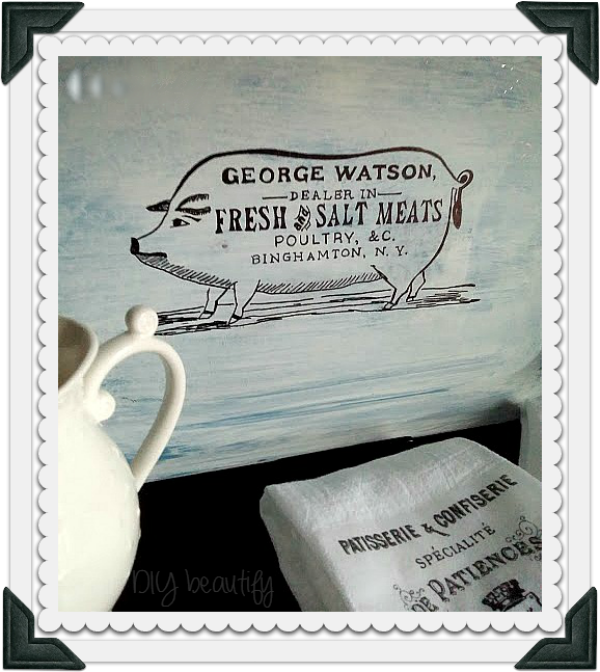 In this post I showed you how to take an inexpensive tray from the thrift store, paint it with chalk paint, and then add a graphic using a Sharpie! 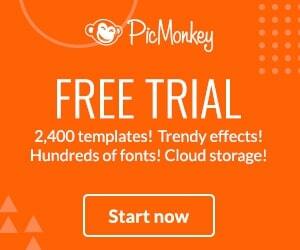 It's an easy and such a unique project that is very versatile! 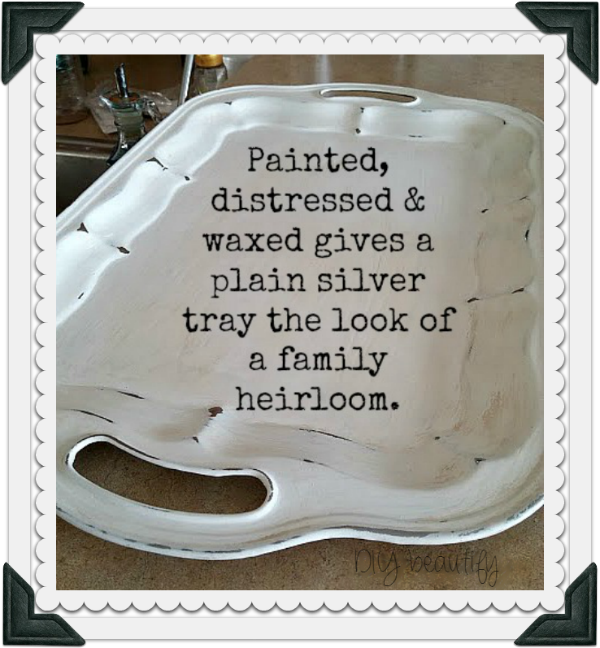 On the same note, this is the post where we took an inexpensive tray and gave it an antique finish using Chalk Paint and dark wax. Such a pretty tray to use or display. This was the project where I took a big, somewhat scary risk! 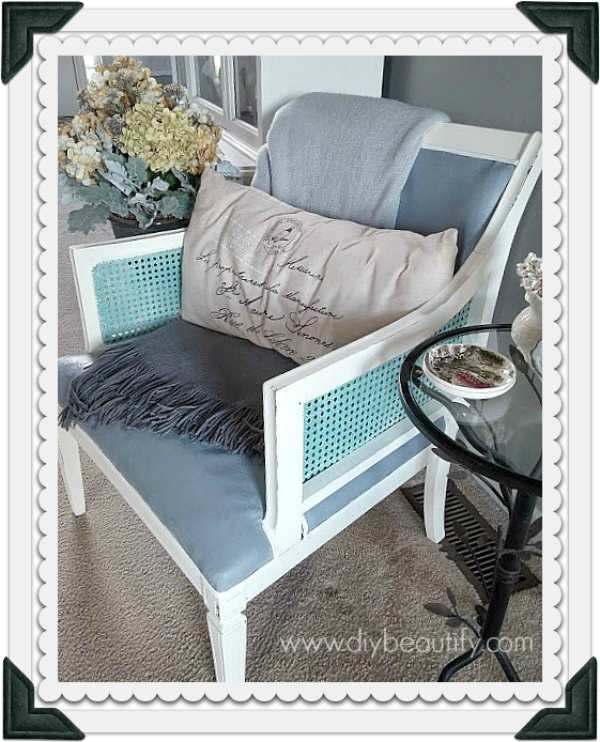 After finding a vintage chair, I painted it with chalk paint to give it an updated look, even adding a stencil on the back. You really need to go check out the ugly before! It is so cute now, and there has been no peeling paint! Still looking good! 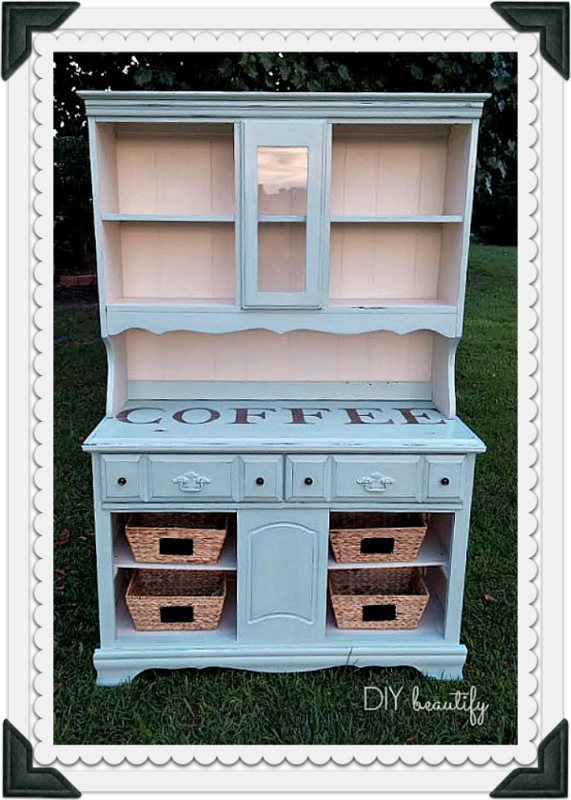 This was one of my favorite furniture transformations...taking a dark and dreary old buffet/hutch and turning it into a bright and charming coffee bar! 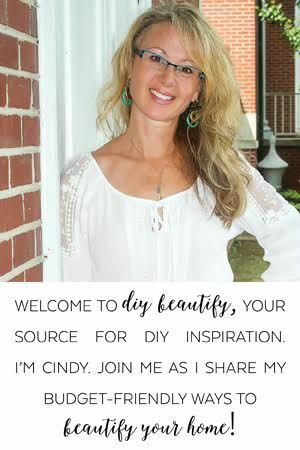 Those of you who are new to chalk paint and are thinking about jumping in and trying it will find this post helpful. 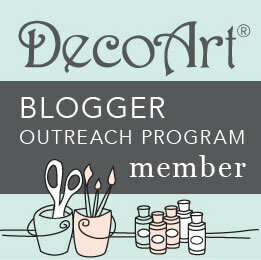 It's an informative summary of several chalk paint companies and their product. It's by no means an exhaustive list, as more and more companies are producing their own version of chalk paint, however it will give you a place to start. 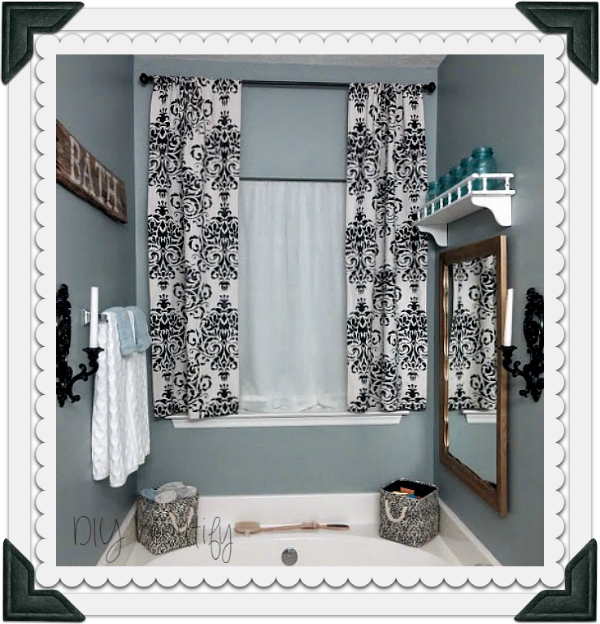 I also share my experiences with this fabulous paint, and why I love it so much, as well as tips for using it. 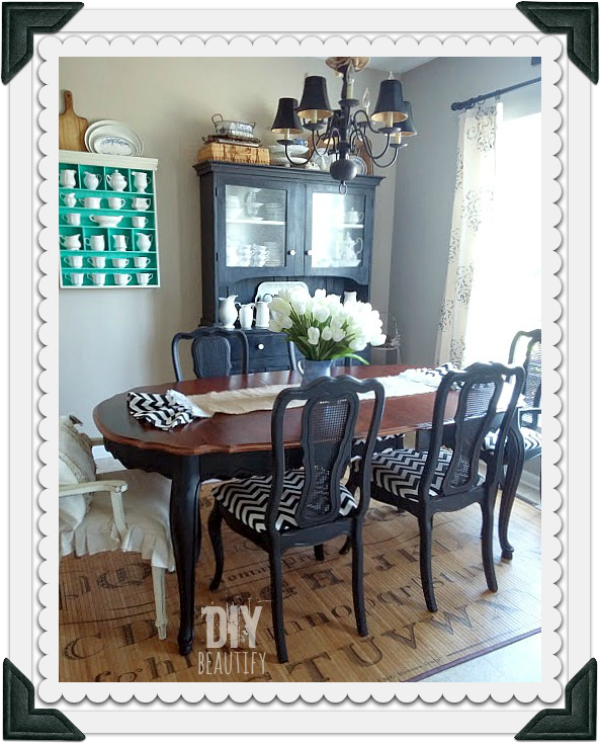 The post that you, my readers, enjoyed the most was this one...where I shared the challenges and trials during this massive undertaking ~ refinishing a dining table, complete with 3 leaves! My attempts with stain in trying to achieve the perfect dark finish almost gave me fits...but I stuck it out and am thrilled with the stunning results! Whew, it's been a busy year! 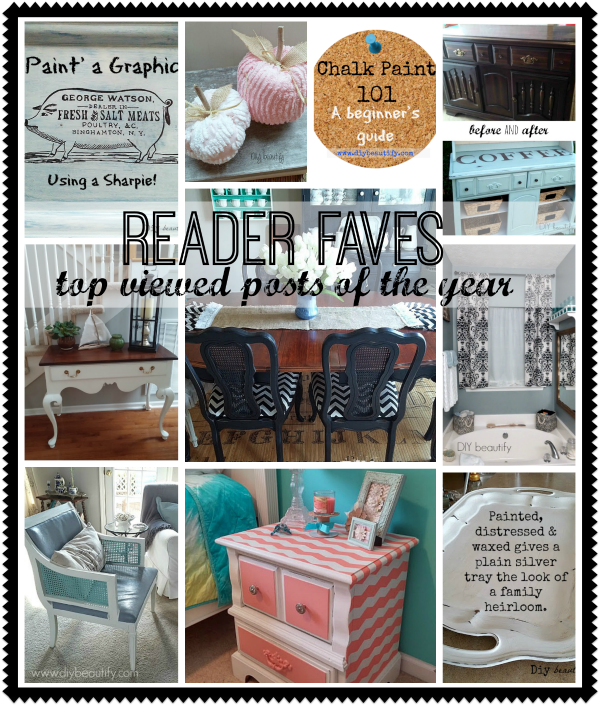 Based on this list, it's obvious that you, my delightful readers, are enjoying my furniture makeovers and projects involving paint. I can promise you that there will be more of that this year. I'm also hoping to get Phase 1 of my kitchen makeover completed this year, I've got pallet projects to share, room transformations... and everything will be completed with tight budgets and thriftiness in mind. So stay tuned, and if you're not already subscribing, I hope you'll consider signing up with your email so you'll never miss a post. Just continue scrolling down and you'll find the subscription form. Girl! You have been super busy! 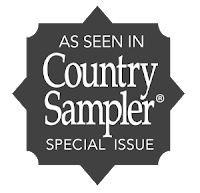 Love this roundup of all your awesomeness. 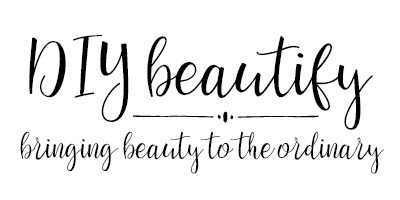 Can't wait to see what you come up with for 2015!